Thank you Jenn, from Reclaiming my Sanity, for the award nomination! Being a food blogger I do not expect to get Awards, and I am thankful for every single one. 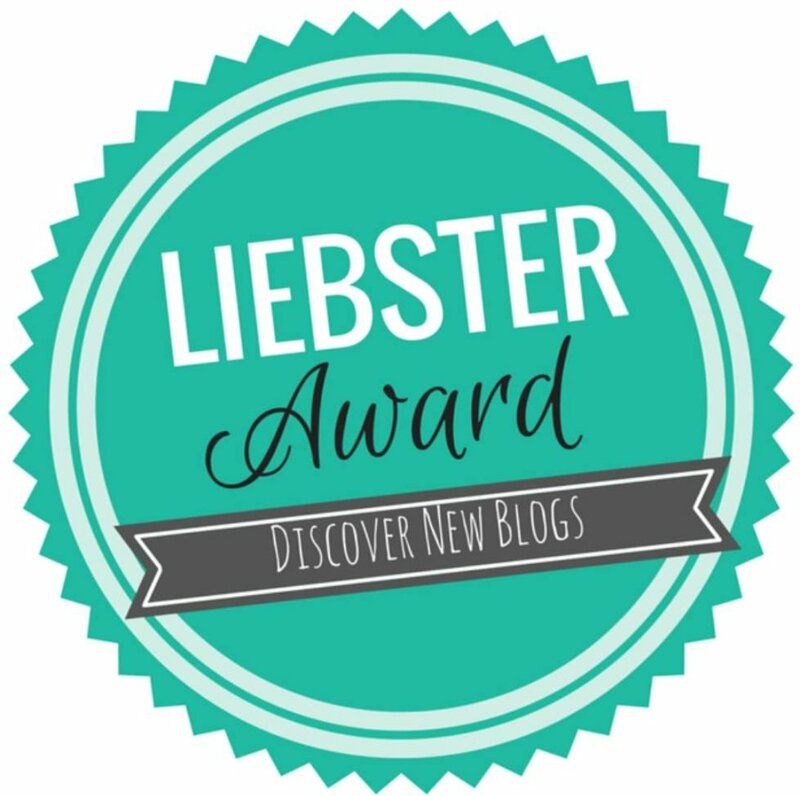 The Liebster Award serves to bring new bloggers some recognition as well as some well-needed motivation. This blogging community is brought closer each year through this award which enables us to support each other. Display the award on your blog — by including it in your post and/or displaying it using a “widget” or a “gadget”. Nominate 5 – 12 blogs that you feel deserve the award, who have a less than 200 followers. List these rules in your post. Once you have written and published it, you then have to: Inform the people/blogs that you nominated that they have been nominated for the Liebster award and provide a link for them to your post. 1. Why did you start blogging and where were you when you started your blog? I started blogging, food blogging really, because I wanted to share and learn with others. I love cooking and creating new dishes. I never thought I would be a blogger, or that I would share my food with the world. Thanks to confidence boosting comments from my family, friends, and co-workers The Messy Beard was created. It’s not about getting famous or making money, it’s about sharing things I enjoy with others for their enjoyment. 2. Do you ever fall out of love with blogging? I can’t say I have, granted I haven’t been doing it long. I enjoy cooking, and sharing my stories with others about my food. Sharing those memories with people, and giving them a chance to relive their memories, priceless. I can tell you I don’t like taking pictures or cleaning up my messes though! Comes with the territory but geez the bloody of dishes! 3. What’s your favorite movie? This is a hard one for me, I love humor and watch anything Will Ferrell. I also really like the movies Out Cold, and Van Wilder they’re great. At the same time, I love the world of Tim Burton and movies share that style. If given a choice I usually put on one of the Pirates of the Caribbeanmovies. 4. Favorite make up (or hair/body care) product?Well now, this is a hard one. I am not one for products usually. I use soap and shampoo? I do like using Irish Spring soap. Smells good and reminds me of my grandpa. 5. What app do you use the most to promote your blog? The world of social media! I use facebook a lot to share my post. I use all forms of social media though. I want to make sure I can reach and help as many people as I can. You can find the links on my contact page! 6. What’s your favorite memory that you have while you have been blogging? Receiving my first award from Ben Aqiba. It gave me a sense of pride and it gave me confidence in my writing ability. I am a storyteller, verbally. When it comes to writing, I worry about conveying my message in an impactful way. 7. Are you glad you started blogging? I am glad I started blogging, I feel like its helped me become more expressive as a person. My wife has been writing and blogger for years and I’m starting to understand why. Being able to read about others’ struggles and how they overcome their issues is amazing. 8. What advice would you give to newbie bloggers? Blogging isn’t for everyone and that’s ok. Give it a shot, try your best, and be original. If you find that it’s not your cup of tea, that’s ok. I say be original, as in stay true to yourself. With 7 billion people it’s hard to come up with a theme, topic, or blog post that someone hasn’t already done. Being able to share you within that subject goes farther than any “copycat” or “get views fast scheme” out there. 9. How often do you post? I try to post twice a week, sometimes more, sometimes less. I feel that quality over quantity reigns supreme. I write everyday but I won’t post a recipe until it’s ready. Not all of them are long, but I try to avoid the textbook definitions of subject and make them more personal. 10. What would you want to happen in a year time for you and your blog? I just want to be able to share more experiences with more people. I want my viewers to take my food, try what they can, and challenge themselves to grow. 11. What make up or (hair/body care) product is your least favorite and why? I can’t say I have one, sadly. 1. I have one ear. Yes, one is missing from my head. It’s a birth defect and it’s not totally uncommon either. 2. I use to race Jr. Dragster’s from the ages 8 to 15. 3. I love building things for my house. I get so much fulfilment from improving my house. 4. I have been with Rachael for over 10 years now. 5. I have a Bachelors in Business. 6. I am a workaholic. I am always working or working on something. 7. I love learning about history. 9. My favorite holiday is Christmas, because I get to spoil people. 10. I have a problem with watching Food Network and HGTV. Thank you again Jenn for the nomination! Congratulations my friend,it is good to know you better !